We're moving in a couple weeks. I am so excited because it's so great. 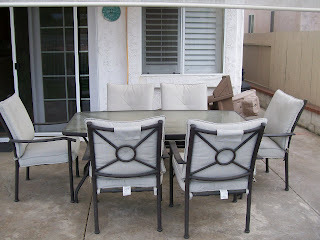 And in the meantime, I totally lucked out and bought a patio set for $50!!! I LOVE IT!! Moving is a hassle, hopefully this will be the last move for a while. Or until we move to Cincinnati. So, I'll post some pictures of our new digs when we get in there to take pictures on 2/5. Furniture getting moved in on 2/10. Boxes and clothes all week up til Sat and all week after as needed.